Homeowners in Castle Rock who need to have repairs done to their garage door are in luck. Our repair team at Apex garage door repair Castle Rock are experts in repairing every type and style of door, including custom made ones. We have the training and experience to get the job done right. Whether you are looking for a new installation or for someone to do a minor repair, our team of garage door repair technicians has the tools to do the job right. At Garage Door Repair Castle Rock CO, we have fixed our share of springs for garage doors. These springs operate under a high degree of tension which makes the job difficult to do for someone without the right kinds of tools and experience. Fortunately, no matter how big or how small your door is, we can replace your garage door spring and get your door opening and closing in a short amount of time. When your garage door opener stops working, you suddenly become aware of how convenient it was. However, you are in luck because we replace garage door openers all the time. These units contain the motor which pulls the garage doors open and closed. Over time, they sometimes wear out and need to be replaced. We arrive with your opener that is just the right size, and get your door up and opening automatically once more. When a garage door goes offtrack, that can be a major problem. Your first instinct may be to try to completely close or open the door. However, that is not a good idea. Instead, you should stop the door as soon as you notice that it has gone offtrack and give us a call to prevent further damage. Regular garage door maintenance should be done at least once a year to extend the life of your door. Our technicians will arrive and check the lubrication levels and look for worn parts. 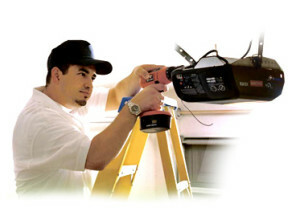 If the catch a small problem, we can make arrangements to have it repaired before it becomes a major one. By regularly scheduling maintenance for your door, we can check for and repair signs of damage due to weather and make sure that your door opens and shuts when you need it to. Not every type of garage repair should be undertaken by a homeowner. However, there are a few things that you can fix on your own when you see signs of trouble with your garage door. A fairly common problem occurs when the tracks become dirty and the movement of the door becomes slow or jerky. If you notice this problem, inspect the tracks, clean them with a brush, and be sure to lubricate them for smoother motion. If this doesn’t take care of the problem. then give us a call, and one of our garage door repair Castle Rock techs will fix it for you. If your home or business is protected by an electronic gate, the last thing that you want is for it to break down. Fortunately, our team of experienced technicians can rapidly, efficiently, and effectively repair your gate. You will be up and running again in short order.